The workshop is aimed to explore how the US data science community can cooperate with and benefit from collaborations with partners in Serbia and the West Balkan region. The scope includes fundamental data science methods and high-impact applications related to big data processing, data science applications in critical infrastructures, biomedical informatics, and digital archeology. The proposed workshop will facilitate closing the gap between data science research in the US and Serbia and the region and will bring together data scientists with researchers from disciplines that until recently had little exposure to data science methods, potentially enabling collaborative breakthroughs in those scientific fields. Participants are leading researchers in their respective fields, but also early career researchers including advanced level graduate students, postdoctoral research associates, and assistant/associate professors within 10 years of obtaining their Ph.D.
Widening the impact, by involving researchers and stakeholders from the other West Balkan countries. The workshop consists of four tracks, each co-chaired by 3 investigators from the US, Serbia and another West Balkan country. Tangible outcomes from the workshop will include a report describing workshop activities for each of four tracks and a proposal recommending research collaboration areas of interest for all parties and determining collaboration mechanisms and programs to facilitate collaboration. Serbia and the United States have signed, in 2010, the Agreement on Science and Technology Cooperation. The purpose of the Agreement is to strengthen the scientific and technological capabilities of both countries, to broaden and expand relations between their scientific and technological communities, and to promote scientific and technological cooperation in the areas of mutual benefit. Among the priorities of the foreseen collaboration are data science, mathematics, archaeology, anthropology, cultural heritage protection, etc. The cooperation is supposed to be conducted through multiple instruments, including joint research projects. In the last few years Serbian delegation had numerous valuable meetings with the US National Science Foundation (NSF), the Smithsonian Institution and the National Institute of Health, in Washington DC, facilitated by Intersection, Center for Science and Innovation and with the support of the Ministry of Education, Science and Technological Development of the Republic of Serbia. Last year, NSF representatives visited Serbia and met with the Organizing Team of the planned US-Serbia Research Collaboration Workshop, as well as with Mr. Mladen Šarćević, the Minister of Education, Science and Technological Development, the representatives of the Serbian Academy of Sciences and Arts, the representatives of the University of Belgrade, and of other prominent research institutions. As a result of those exchanges, the US-Serbia research collaboration plans got full support of the NSF leadership. In May 2018, the NSF awarded the grant for “US-Serbia and West Balkan Data Science Workshop” project, to be implemented under the direction of Zoran Obradović, as the General Chair. Aleksandra Drecun, JD, MPA, is the President of Intersection, Center for Science and Innovation and the Board Director of the European Science Engagement Association. She is the Harvard Alumni Association Director for Europe and the member of European Commission (EC) DG Research and Innovation policy bodies for “Strategic Configuration of Horizon 2020, with Science with and for Society” and “Europe in a changing world – Innovative, Inclusive and Reflective”. She is particularly focused on international research collaboration and science diplomacy. Drecun participates in Horizon 2020, COST, Creative Europe and other research and cooperation projects and coordinated EC FP 7 projects for South Eastern Europe. She is the consultant to the World Bank and the UN on research and innovation, science engagement, gender, public policy, good governance, capital investments and public investments management information systems. She is a peer reviewer for EC, COST and Science Foundation Ireland, and is on the Advisory Board of NUCLEUS (New Understanding of Communication, Learning and Engagement in Universities and Scientific Institutions). She is the founding member of the Women’s Government of Serbia, the President of the Advisory Board of the Mathematical Gymnasium Belgrade and the President of the Harvard Club of Serbia. Drecun was the Secretary General at the Ministry of Finance and Economy (2001-2003), Secretary General to the President of Serbia (2004-2006), the President of the Managing Board of Belgrade Philharmonic (2006-2010), Special Advisor at the Government of Serbia (2007-2009) and the founding Director of the Center for the Promotion of Science (2010-2013). She passed the Bar Exam for Yugoslavia, and lectured at Belgrade University Law School and Police Academy. Aleksandra received Nikola Tesla Award, Milutin Milanković Award, Albert Weiss Award, University of Belgrade Best Research Paper Award and two City of Belgrade Awards. Zoran Ognjanović is the Director and Research Professor at Mathematical Institute of the Serbian Academy of Sciences and Arts, Belgrade. He received his PhD in 1999.
conferences. He is/was the project leader of a number of projects including two digitization projects within the UNESCO, Digital National Library of Serbia, Electronic editions of Serbian mathematical journals etc. He participates in several EU funded projects (FP 6, FP 7, and Horizon 2020), including the project Collaborative EuropeaN Digital/Archival Infrastructure (CENDARI). Silvia Ghilezan, Ph.D., is a Professor of Mathematics at the University of Novi Sad and Mathematical Institute of the Serbian Academy of Science and Arts, Belgrade. On several occasions, she has held visiting positions at University of Oregon, USA, École Normale Supérieure de Lyon, France, University of Turin, Italy, Radboud University, The Netherlands and McGill University, Canada. She is lecturing at all three levels of higher education in Serbia, as well as abroad. Major lines of her research, professional work and expertise are in formal methods and mathematical logic with application to programming languages, theoretical computer science, concurrent and distributed systems and mathematical linguistics. Her most recent research interests focuses on formal methods for privacy in large scale systems, computer assisted mathematical reasoning, formal methods in artificial intelligence and effective tools and novel teaching-learning methodologies. She has initiated, assembled consortia, project managed and successfully completed several scientific and educational projects under national and international programs (FP, COST, Erasmus+, Tempus, bilateral). Dr. Ghilezan has provided both scientific and technical consultancy and undertaken several international project reviews and evaluations. Her numerous research articles with over fifty co-authors are published in leading scientific journals and have been communicated at renowned conference. She acts as a program committee member of prestigious international conferences and is a guest speaker at leading universities worldwide. She has supervised several doctoral theses, including two theses en-cotutelle, and serves as an international jury member for doctoral theses. She has significant activities in popularization and dissemination of science with wider impact on society. Dr. Ghilezan has provided advisory consultancy for ARVR enterprises and industry. In 2013, she was knighted in the Chevalier de l’Ordre des Palmes Académiques of the French Republic. Kyle Scott, a career member of the Senior Foreign Service, class of Minister-Counselor, became the US Ambassador tp Serbia in 2016. Mr. Scott has extensive knowledge and background in European issues, built up through numerous assignments in Europe and various international organizations. Andre Ščedrov is a Professor of Mathematics and Professor of Computer and Information Science at the University of Pennsylvania. He is the Department Chair of Mathematics Department. His work covers logic, programming language semantics, and information assurance. He has written over 100 research articles and several books. Prof. Scedrov served on the editorial boards of the Journal of Computer Security, Mathematical Structures in Computer Science, and on the organizing committee of the ACM/IEEE Symposium on Logic in Computer Science. He has served on program committees for a number of leading conferences, including IEEE Computer Security Foundations and CRYPTO. Huzefa Rangwala is a Professor at the Department of Computer Science, George Mason University. He was a Visiting Faculty Member at Department of Computer Science, Virginia Tech in 2015-2016. His research interests include data mining, learning analytics, bioinformatics and high-performance computing. He is the recipient of the NSF Early Faculty Career Award in 2013, the 2014 GMU Teaching Excellence Award, the 2014 Mason Emerging Researcher Creator and Scholar Award, the 2013 Volgenau Outstanding Teaching Faculty Award, 2012 Computer Science Department Outstanding Teaching Faculty Award and 2011 Computer Science Department Outstanding Junior Researcher Award. His research is funded by NSF, DHS, NIH, NRL, DARPA, USDA and nVidia Corporation. Ljupčo Kocarev is a member of the Macedonian Academy of Sciences and Arts and a full professor at the Faculty of Computer Science and Engineering, Ss. Cyril and Methodius University in Skopje, Macedonia. He has co-authored more than 150 journal papers in 30 different international journals, ranging from mathematics to physics and from electrical engineering to computer sciences. He is a fellow of IEEE. His scientific interests include complex networks, nonlinear systems and circuits, dynamical systems, mathematical modeling, machine leaning, and computational biology. Prof. Nataša Krejić specializes in Numerical Optimization. She is the Vice president of the European Consortium for Mathematics in Industry (2018-2019), a member of National Board for Mathematics, Mechanics and Computer Science, Chair of Numerical Mathematics group at the Department of Mathematics and Informatics and Vice-dean for Finance at the Faculty of Sciences (2015-2020). She served as an Index Committee member at Belgrade Stock Exchange during 2006-2015. Prof. Krejić supervised 7 PhD thesis and over 20 MSc thesis. At present she leads the research project Numerical Methods, Simulations and Applications (2011-2018) financed by Ministry of Education, Science and Technological Development, Republic of Serbia, grant no. 174030, participates at Ibidaas Horizon 2020 DG Reserach and Innovation project, coordinates IPA CRO-SRB project RealForAll project on behalf of Faculty of Sciences, and participates at COST action MI NET. Prof. Krejić serves as an Associate Editor at Journal of Computational and Applied Mathematics, Springer, since 2014, and Publications de l’Institut Mathématique, since 2012. She was awarded Charles Broyden Prize for 2015 by the journal Optimization Methods and Software. Prof. Krejić has been visiting professor at the State University of Campinas, SP, Brasil in 1997, 1999-2000, 2003, 2011 and 2015, visiting professor at the University of Florence in 2018, as well as Erasmus Mundus Visitor at Eindhoven University of Technology in 2009 and Senior Research Fellow at CEU Budapest in 2009. She has published over 60 papers in the area of numerical optimization. Boris Delibašić is a full professor at the University of Belgrade – Faculty of Organizational Sciences, Serbia. His research interests lie in business intelligence, data science, machine learning, multicriteria decision analysis, and decision support systems. He serves on editorial boards of several international journals, and is the coordinator of the EURO working group on Decision Support Systems. He obtained his PhD in 2007 from the University of Belgrade in the field of Organizational Sciences. Delibašić was a guest lecturer at the Friedrich Schiller Uniersity of Jena from 2006 to 2011. He was awarded with the Fulbright Visiting Scholar Grant in 2011 which he conducted at Temple University at the Center for Data Analytics and Biomedical Informatics, at the laboratory of Professor Zoran Obradović. From 2012 Boris is the chief of the Center for Business Decision Making at the University of Belgrade – Faculty of Organizational Sciences. Martin Pavlovski is pursuing his PhD at Temple University in Philadelphia, USA. He obtained his bachelor’s degree in electrical engineering and information technologies from the Saints Cyril and Methodius University of Skopje, in 2015. Martin was a research intern at the Macedonian Academy of Sciences and Arts and a visiting scholar at the Center for Data Analytics and Biomedical Informatics, at Temple University. His research focuses on machine learning. Tijana Vujičić is a PhD candidate at the Faculty of Organizational Sciences, University of Belgrade, Serbia. During PhD studies she was a visiting research scholar at the Center for Data Analytics and Biomedical Informatics, at Temple University in Philadelphia, USA. She received her B.Sc. degree in Information Technologies from the Faculty of Information technologies, University Mediterranean Podgorica in 2012 and M.Sc. degree in Software Engineering from the Faculty of Organizational Sciences, University of Belgrade in 2015. Her current research focuses on artificial intelligence and machine learning. She is employed as a teaching assistant at the Faculty of Information technologies, University Mediterranean, Montenegro. Vladisav Jelisavčić is research assistant at the Mathematical institute of the Serbian Academy of Sciences and Arts. He received his B.Sc. and M.Sc. degrees in Electrical engineering and Computer science from School of Electrical Engineering, University of Belgrade. He is currently pursuing PhD degree from the same university. His primary reseach field is machine learning and data mining. His interests include probabilistic graphical models, sparse learning, and convex optimization. He was a visiting scholar at Temple University, Philadelphia, USA, where he participated in project: Prospective Analysis of Large and Complex Partially Observed Temporal Social Networks. He was engaged on several project financed by the Ministry for Science and Technological Development (MNTR) of the Republic of Serbia, implemented at Mathematical Institute of the Serbian Academy of Sciences and Arts, and Innovation Center of the Faculty of Electrical Engineering. He was also engaged as a researcher in the EU FP7 project BALCON: Boosting EU-Western Balkan Countries research collaboration in the monitoring and control area, GA: 288076, as well as the innovation project MPNTR: Application of methods for finding knowledge on a large amount of data. He also has experience working on several open source software projects related to big data. He is a commiter for the Apache Ignite project for distributed software cache systems. Zoran Marković is a Research Professor at Mathematical Institute of the Serbian Academy of Sciences and Arts, MISANU. He received his Ph.D. from the University of Pennsylvania in 1979. His main fields of research are intuitionistic, probabilistic and other non-classical logics and applications. He was the director of MISANU (1986-2014), member of the Council of the Science Fund of Serbia and several of its committees and member of the Presidency of the Association of Institutes of Serbia. He led the Institute’s team which initiated the national science promotion event “May Month of Mathematics”. Dr Marković is an active member of Intersection, an international action-tank dedicated to Responsible Research and Innovation mainstreaming and science engagement. He is currently national coordinator of the European Commission Horizon 2020 project NUCLEUS (New Understanding of Communication, Learning and Engagement in Universities and Scientific Institutions). Dr. Pedja Neskovic is a program officer at ONR where he oversees the mathematical data science, and computational methods for decision making programs. He is also an adjunct associate professor of brain science at Brown University and a visiting professor at Johns Hopkins University. Within the scope of the mathematical data science program, he is addressing various basic research problems. These include methods for the analysis of big and small data, analysis of complex networks such as social and brain networks, reproducibility in science, and multi-modal and multi-scale information integration. He is also interested in developing methods for computational decision making that are utilizing novel crowdsourcing and collaborative techniques. Dr. Ioannis (Yiannis) Kompatsiaris is a Researcher Director at CERTH-ITI, the Head of Multimedia Knowledge and Social Media Analytics Laboratory and Deputy Director of the Institute. His research interests include multimedia, big data and social media analytics, semantics, human computer interfaces (AR and BCI), eHealth, security and culture applications.He is the co-author of 129 papers in refereed journals, 46 book chapters, 8 patents and more than 420 papers in international conferences. Since 2001, Dr. Kompatsiaris has participated in 59 National and European research programs including direct collaboration with industry, in 15 of which he has been the Project Coordinator and in 41 the Principal Investigator. He has been the co-organizer of various international conferences and workshops and has served as a regular reviewer, associate and guest editor for a number of journals and conferences. He is a Senior Member of IEEE and member of ACM. Igor Mishkovski was born in Skopje, Macedonia, in 1981. He graduated and received the master degree in computer science and engineering at the University Ss. Cyril and Methodius, Skopje and the Ph.D. degree from Politecnico di Torino, Torino, Italy, in 2008 and 2012, respectively. After he received the Ph.D. degree in 2012 he was elected as an assistant professor at the Faculty of Computer Science and Engineering in Skopje. His research interests include complex networks and modelling dynamical processes, network and data science, computer networks and semantic web. 2005- Full Professor of Informatics (as of 2015). University of Ljubljana, Faculty of Administration, Ljubljana, Slovenia. 1999-2007 PhD Student and Research Scientist. Jozef Stefan Institute, Department of Intelligent Systems, Ljubljana, Slovenia. 2004-2005 Postdoctoral Fellow. Stanford University, Center for the Study of Language and Information, Computational Learning Laboratory, Stanford, US. 1996-1999 Research Assistant. University of Ljubljana, Institute for Biomedical Informatics, Ljubljana, Slovenia. Slobodan N. Vukosavic graduated with honours at the Electrical Engineering Department, University of Belgrade. He got his diploma in Power engineering in 1985, and his diploma in Electronics in 1986. He defended the magisterial thesis entitled “Control algorithms for the voltage source inverters” in 1987. The doctoral dissertation “Adaptive digital control of induction motors” is defended 1989. with the same University.Since 1985, he worked as an R/D engineer with “Nikola Tesla” Institute in Belgrade, engaged with research, development and design of static power converters, electrical drives and digital control systems for industrial and military applications. Relevant projects were closely related with his magisterial thesis, PhD thesis, and his first papers. In 1988, he joined Electronic Speed Control Division of Emerson-Electric in St. Louis, where he developed and patented sensorless controller for brushless permanent magnet motors in HVAC applications. He also developed asymmetrical switched reluctance machines and original power converter topology for SRM supply. Invited by VickersElectric, manufacturer of hydraulic actuators, he joined their new R/D team, developing electric actuators for industrial robots. As the team leader, he developed motion control products for the car manufacturers and automotive industry in Europe. IRADK10 project for IR, the first demonstration of the IRAMS high voltage integrated circuit (HVIC). He also delivered design and consultancy services to companies and universities such as International Rectifier, Emerson-Ceset, Ferrari, Texas A&M and others. Cristian is a PhD student and Research Assistant at the Collective Learning group in the MIT Media Lab. He holds a bachelor in physics and two master’s degrees, one in physics and another in media arts and sciences from the Media Lab. Cristian has participated in a number of academic conferences, corporate board meetings, and policy workshops. His research focuses on knowledge diffusion, with an emphasis on “tacit knowledge,” which is the knowledge that cannot be communicated but can only be embedded in people. In particular, he tries to understand how regions can leverage the knowledge they have access to, in order to diversify into more productive and more inclusive industries. Vuk Malbaša received the B.S. degree in informatics from the Faculty of Sciences, University of Novi Sad, Serbia, and the Ph.D. degree in computer science from Temple University, Philadelphia, PA, USA, in 2006 and 2012, respectively. From 2012 to 2014 he was a postdoc researcher with the Smart Grid Center, Texas A&M University, where he worked on data mining and machine learning applications in distribution and transmission smart grids. He is currently an Assistant Professor of Computer Science with the Faculty of Technical Sciences, University of Novi Sad, Serbia. His research interests include big data in critical infrastructure, regularized spatial models, intelligent sensor applications, graphical models, and cognitive communications in networking. Sriraam Natarajan is an Associate Professor at the Department of Computer Science at University of Texas Dallas. He was previously an Associate Professor and earlier an Assistant Professor at Indiana University, Wake Forest School of Medicine, a post-doctoral research associate at University of Wisconsin-Madison and had graduated with his PhD from Oregon State University. His research interests lie in the field of Artificial Intelligence, with emphasis on Machine Learning, Statistical Relational Learning and AI, Reinforcement Learning, Graphical Models and Biomedical Applications. He has received the Young Investigator award from US Army Research Office, Amazon Faculty Research Award, Intel Faculty Award, XEROX Faculty Award and the IU trustees Teaching Award from Indiana University. He is an editorial board member of MLJ, JAIR and DAMI journals and is the electronics publishing editor of JAIR. He is the organizer of the key workshops in the field of Statistical Relational Learning and has co-organized the AAAI 2010, the UAI 2012, AAAI 2013, AAAI 2014, UAI 2015 workshops on Statistical Relational AI (StarAI), ICML 2012 Workshop on Statistical Relational Learning, and the ECML PKDD 2011 and 2012 workshops on Collective Learning and Inference on Structured Data (Co-LISD). He was also the co-chair of the AAAI student abstract and posters at AAAI 2014 and AAAI 2015 and the chair of the AAAI students outreach at AAAI 2016 and 2017. Dr. Yana Bromberg is an associate professor at the Department of Biochemistry and Microbiology, Rutgers University. She also holds an adjunct position at the Department of Genetics at Rutgers University and is a fellow at the Institute of Advanced Studies in the Technical University of Munich. Dr. Bromberg is a member of the Board of Directors of the International Society for Computational Biology and actively participates in the organization of the ISMB/ECCB conferences. Dr. Bromberg received her Bachelor degrees in Biology and Computer Sciences from the State University of New York at Stony Brook and a Ph.D. in Biomedical Informatics from Columbia University, New York. She is known for her seminal work on a method for screening for non-acceptable polymorphisms, or SNAP for short, which evaluates the effects of single amino acid substitutions on protein function. Currently, research in the Bromberg lab is focused on the molecular functional annotation of genes, genomes, and metagenomes in the context of specific environments and diseases. The lab also studies evolution of life’s electron transfer reactions in Earth’s history (and as potentially applicable to other planets). This work has been recognized by awards from various agencies including the NASA, NSF, NIH, and a number of private foundations. Dr. Bromberg is frequently invited to talk about her research in conferences all over the world and has, to-date, co-authored nearly sixty peer reviewed scientific articles. Gregor Stiglic is a Vice Dean for research, Associate Professor and Head of Research Institute at the Faculty of Health Sciences, University of Maribor (FHS UM). Gregor was the co-founder of the Bioinformatics master study programme at the FHS UM in 2008. He also worked as a Visiting Researcher at Data Analysis and Biomedical Analytics (DABI) Center at Temple University (2012) and as a Visiting Assistant Professor at Shah Lab, Stanford School of Medicine, Stanford University (2013). His research interests encompass machine learning techniques with application to healthcare. Specific areas of his technical interest include comprehensibility of predictive models, human interaction based classification, stability of feature selection algorithms, meta-learning and longitudinal rule discovery. His work was published in multiple conferences, journals and books. He served as a co-organizer of the series of Workshops on Data Mining for Medicine and Healthcare held in conjunction with SIAM SDM conferences (2013 – 2017) and the series of Workshops on Data Mining for Medical Informatics held in conjunction with the American Medical Informatics Association (AMIA) Annual Symposiums (2014 – 2016). He also served as a program chair of the Analytics Track at the 2016 IEEE International Conference on Healthcare Informatics held in Chicago, IL. Gregor is an associate editor of BMC Medical Informatics and Decision Making and editorial board member of Artificial Intelligence in Medicine, PLoS ONE, and Journal of Healthcare Informatics Research. Tomislav Šmuc is a Head of Laboratory for Machine Learning and Knowledge Representation at Rudjer Boskovic Institute. His research interests are development of machine learning and data mining techniques tailored for knowledge discovery. Dr. Smuc has participated in a number of European and national research projects focused on the development of novel algorithms capable of dealing with real data complexities, and methods for insightful data analysis. The applications of these techniques spread from drug-discovery, genomics, medicine, to social sciences and economy. Dr. Smuc is author of more than 100 publications in journals and proceedings of international conferences. Vladimir Perovic is a research associate at the Center for Multidisciplinary Research and Engineering, Institute of Nuclear Sciences VINCA, University of Belgrade. His research interests are informatics and bioinformatics. Perovic received his PhD in Computer Science from the University of Belgrade in 2013. He has held visiting position at University of Padova, Italy in 2017. He has participated in several national and international projects (FP and COST). His recent research focuses on biological data science and machine learning techniques for developing models and software for automated gene annotation. He has authored 30 scientific publications, one international patent and one software patent. Nevena Veljkovic is the Director of the Centre for Multidisciplinary Research and Engineering at the Institute of Nuclear Sciences Vinca, Belgrade, Serbia. Her research interests include bioinformatics and computational biology with focus on sequence analyses. Her particular interest is predicting protein interactions and the effects of altering individual amino acids, with the goal of fostering a better understanding of protein roles in cellular physiology and physiopathology. She also works on exploring drug targets and mechanisms of action. After studying technology at the University of Belgrade, Veljkovic received her doctorate in biotechnology from the same university in 2001. Following a research stay at the National Cancer Institute in Aviano (IT), she joined the Institute Vinca in 2003. She teaches doctoral studies at the University of Belgrade. She has published more than 50 scientific publications with an h-index of 18. Marija Stanojevic is a PhD student and Research Assistant at Center for Data Analytics and Biomedical Informatics, Temple University, Philadelphia, US. Her main research focus is language representation and understanding in spatio-temporal space using NLP and complex networks. Marija’s interests are natural language processing, machine learning, data mining, statistics, deep learning and education. Before coming to Temple, she worked for two years in industry as software engineer. Marija finished master studies in signal processing and bachelor studies in software engineering at School of Electrical Engineering, University of Belgrade, Serbia. Emin Tahirović earned his masters in theoretical computer science from Johan Wolfgang Goethe University Frankfurt in 2008. He received “Best degree” award from the Department of Computer Science there. His master’s thesis focused on mixing times of Markov Chains with emphasis on utilizing stationary distribution as sampling distribution on large graphs. After graduating, Dr. Tahirović worked as an IT consultant (2008-2010) for Deutsche Bahn AG. During this time he was involved in projects of optimizing train maintenance disposition within the Deutche Bahn maintenance site network. His other work for DBinvolved supporting and testing the maintenance module of the in-house SAP enterprise software. In 2010 Dr. Tahirović applied and received full stipend from the University of Pennsylvania for doctoral studies at the department of Biostatistics and Epidemiology. At Penn, Dr. Tahirović research interests concentrated on different methods of quantifying and adjusting for selection bias in longitudinal clinical trials and observational studies (sensitivity analysis for non-ignorable missingness, causal inference, modelling compensational correlation structures in longitudinal (panel) data with dropout). This methodological area was the focus of his PhD thesis, which he successfully defended in summer of 2016 at the Department of Biostatistics of the University of Pennsylvania. Applied area of Dr. Tahirović’ s research and collaborative projects range from biomedical applied area (cancer survival and epidemiology, chronic kidney disease, financial and organizational incentives for health outcomes), over insurance and claims data, to more recently, long-term neuromotor development of children. One of his current projects aims at prediction of scholastic success of students by utilizing data from the Learning Management Systems (MOODLE) in their schools. In 2016 Dr. Tahirović moved to Sarajevo, Bosnia and Herzegovina where he is, since February 2017, working as an Assistant Professor at International University of Sarajevo’s Faculty of Engineering and Natural Sciences. There, he is teaching undergraduate (Introduction to Probability and Statistics, Statistical Modelling, Quantitative Research Methods) and graduate courses (Biostatistics graduate course for students of Genetics and Bioengineering Program). Since January 2018 Dr. Tahirović is the Program Coordinator for Software Engineering Program at the Faculty of Engineering and Natural Sciences of International University of Sarajevo. Sandro Radovanović is born on 26.07.1989 in Sarajevo, Bosnia, and Herzegovina. He finished elementary and gymnasium in Belgrade with best grades. He finished bachelor level of studies by defending the thesis entitled “Development of Decision Support System in Sports” in University of Belgrade – Faculty of Organizational Sciences in 2012 having 9.43 (out of 10.00) grade average. He finished master studies in 2013 with grade average 10.00 (out of 10.00). During studying, he was awarded multiple times for grade average achievements. So far, he has published more than 30 scientific papers in journals and conferences. Seven of those papers are in indexed journals with impact factor. From October 2012 he worked as a software developer in Administration for Joint Services of the Republic Bodies, where he developed and maintained several applications and information systems needed for various Governmental Agencies and Ministries. In October 2017 he was transferred to Office for Information Technologies and e-Government to the position of Team Lead for Design and Implementation of Information Systems. However, he left that position after two months. From March 2016 to August 2016 he was appointed as a short-term consultant for data analysis by World Bank Group on the project “Network analysis of school system in Serbia: Vertical view” for Ministry of Education, Science and Technological Development. His career in education starts in school year 2014/15 when he worked as a teaching demonstrator on subject Decision Theory. In the period from April 2015 to August 2016, he was involved in a scientific project funded by Swiss National Scientific Foundation entitled “Predicting patient’s future health state: Development and deployment of fast, effective, and interpretable algorithms for healthcare” (SCOPES 2014-2016, Number of the JRP/IP IZ73Z0_152415). Additionally, he was part of a bilateral cooperation project between Slovenia and Serbia named “Ski Injury Exploratory Analysis from Hospital Discharge Records” (BI-RS/14-15-027). From December 2017 he works as Teaching Assistant in University of Belgrade – Faculty of Organizational Sciences on subjects Decision Theory, Business Intelligence, Business Intelligence Systems and Machine Learning. Miomir Korać is the Director of the Institute of Archaeology, Belgrade. He is considered one of the pioneers of the use of ICT and other modern technologies in archaeology in Serbia. Korać leads a permanent interdisciplinary research team and has established a research centre Viminacium (5000m2), with numerous labs, depositories and exhibition spaces. From 1996 till today he is the Director of the project Viminacium. In the period of 2001 to 2007 Korać was also the director of the Serbian-American Scientific Project, and in 2002 he became the director of the Centre for New Technologies. In 2005 Korać was at the “International Visitors programme” in the US, organized by the US Government. In 2007 and 2008 he served as the Assistant Minister for Culture at the Government of the Republic of Serbia, and from 2010 to 2014 as the president of the Managing Board of the Institute for History and special adviser to the Minister of Science, and the President of the Board of the national Center for the Promotion of Science. He was the project leader of numerous EU funded projects such as “T-Pass”, “Danube Limes Brand” and “OpenArch”, the editor in chief of the “Starinar” journal and the periodical “Archaeology and Science”, editor and author of numerous monographs and author or co-author of more than hundred research papers. Together with his team, Korać, now Principal Research Fellow, established the first Archaeological Park in Serbia, economically sustainable project that attracts thousands of visitors and employs people from local community. Snežana Golubović is the Deputy Director of Viminacium, one of the most important archeological sites from the Roman times. In 2001, at the invitation of Professor Michael Mackensen she studied at the Library of the Ludwig-Maximilians-Universität (LMU) in Munich. In 2001-2002 with scholarship from the Ministry of Science of Bavaria she worked on her PhD thesis at the Institut für Vor- und Frühgeschichte und Provinzialrömische Archäologie at LMU in Munich. At the Department of Classical Archaeology of the Faculty of Philosophy, University of Belgrade she obtained her PhD with the thesis “Burial at Viminacium from First to Fourth Centuries AD” in 2005. She has been participating in excavations in Mediana and Viminacium since 1981 as a regular collaborator of the Institute of Archaeology. Since 2010 she is the Director of the Subproject “Archaeology” of the Project of the Ministry of Science: IRS – Viminacium, Roman city and military legion camp – research of material and non-material of inhabitants by using the modern technologies of remote detection, geophysics, GIS, digitalisation and 3D visualisation” and since 2015 Golubović is the Director of the Project of Ministry of Culture “Excavations of Roman Amphitheatre at Viminacium” and “Excavations of Roman Castrumat Viminacium”. She was the project leader of EU funded project “ARCHEST” and participated in numerous international congresses and symposia. She has published numerous monographs and many articles and papers in various periodicals. Frank McManamon is the executive director of the Center for Digital Antiquity (Digital Antiquity) in the School for Human Evolution and Social Change (SHESC) at Arizona State University. Digital Antiquity is devoted to improving the discoverability and access to archaeological data and documents for research, education, and public outreach activities, and ensuring their long term preservation and availability for future uses. Digital Antiquity develops and maintains the tDAR (the Digital Archaeological Record) international domain repository for archaeological and cultural heritage data. Before joining ASU in November, 2009, he was the chief archeologist of the US National Park Service and the Department of the Interior in Washington, D.C. He has been involved in the development of policy, regulations, and guidance for archaeology in National Park system and throughout the government. He has special interests and expertise in archaeological resource management, the long-term access to and preservation of archaeological data, laws and regulations related to cultural resource management and historic preservation, and public outreach and education about archaeology and archaeological resources. He has conducted archeological investigations in eastern North America, western Europe, and Micronesia. He is the general editor of Archaeology in America (Greenwood, 2008), a four-volume encyclopedia with over 350 articles by specialists on individual sites or groups of related sites dating from 20,000 years ago through the twentieth century. The essays cover topics on the history of human habitation and the variety of cultural adaptations in North America during ancient and historic times. McManamon’s most recent book is an edited volume, New Perspectives on Cultural Resource Management (Routledge, 2018). Adam Rabinowitz is Associate Professor in the Department of Classics and Assistant Director of the Institute of Classical Archaeology at The University of Texas at Austin. He is an active field archaeologist and is involved with various projects related to the collection, management, and publication of digital archaeological data. From 2002 to 2014, he carried out excavations and broader cultural heritage work at the site of Chersonesos in Crimea, where documentation strategies included computational photography (RTI and photogrammetry). Both his fieldwork at this site and subsequent preparation for its publication led him to become involved with long-term archival preservation of digital data and the digital dissemination of rich contextual datasets. He is currently preparing to apply similar strategies to a new multidisciplinary research project at the site of Histria in Romania. As co-PI of the NEH- and IMLS-funded PeriodO project, which seeks to build a gazetteer of historical period definitions (http://perio.do), he is an active participant in efforts to build infrastructure for the Linked Open Data environment. And as a member of the Theme Organizing Committee for the Planet Texas 2050 grand challenge project (https://bridgingbarriers.utexas.edu/), he is coordinating multidisciplinary research into past human responses to climate and demographic stressors and helping to develop a digital platform for the integration and modeling of heterogeneous scientific, social-scientific, and humanities data. Ben Marwick is an Associate Professor in the Anthropology Department at the University of Washington, USA, and a Senior Research Scientist at the Centre for Archaeology at the University of Wollongong, Australia. He works in Mainland Southeast Asia and Australia on questions about the first human occupation of the region, human-environment adaptations and technological change in stone artefacts during the Pleistocene and Holocene. Ben also works on developing priciples, methods, tools for reproducible research, with a focus on the R programming language. He is currently an Australian Research Council Future Fellow and a Senior Fellow at the UW eScience Institute. Tim Kohler is an archaeologist and evolutionary anthropologist in the Department of Anthropology, WSU. He employs the tools of complex adaptive systems research to understand the archaeological record, especially of the northern US Southwest. His most recent book is the 2018 volume (edited with Michael E. Smith) Ten Thousand Years of Inequality: The Archaeology of Wealth Differences. He is a Fellow of the AAAS and recipient of the Society for American Archaeology’s Award for Excellence in Archaeological Analysis, and the Alfred Vincent Kidder Award for Eminence in the Field of American Archaeology, American Anthropological Association. Carrie Heitman is an Assistant Professor of Anthropology and a Faculty Fellow in the Center for Digital Research in the Humanities at the University of Nebraska-Lincoln. She is the Director of the Chaco Research Archive (chacoarchive.org), the Salmon Pueblo Archaeological Project (salmonpueblo.org), and Ohio Hopewell: Prehistoric Crossroads of the American Midwest (hopewell.unl.edu). She works in the northern US Southwest and her research publications focus on religion/ritual, architecture, kinship, gender and social inequality, museum anthropology, archaeoinformatics and methods of data integration in anthropology. Silvana Blaževska received bachelor, master and doctoral degrees in Classical archaeology from the University of Sts. Cyril and Methodius in Skopje, FYR Macedonia. Her scientific interest is in various aspects of the archaeology and history of the Classical and Roman periods. She gained her training and experience in field archaeology at many archaeological sites in Macedonia, Bulgaria and Israel from prehistory until the medieval period, as an active participant in organization, supervision and documentation of the excavation process. Since 2002 she was the curator of the Hellenistic period in the Museum of Macedonia in Skopje. She gained valuable experience in management of the cultural heritage as a director of the National Institution for Management of the Archaeological Site Stobi, since its foundation in 2009 until 2017, where she is currently employed as an archaeologist-curator. In this period, she was project director of the large-scale excavations on the site and international archaeological field schools and conservation workshops. She was supervisor and consultant in the conservation activities of the architectural heritage and moveable finds, and she worked on developing programs for preservation and presentation of the diverse cultural heritage of Stobi. She presented the results of her scientific and professional work at many international scientific conferences, meetings and public lectures. Goce Pavlovski is archaeologist-curator at the National Institution for Management of the Archaeological site Stobi (NI Stobi) in the Republic of Macedonia. He has MPhil degree in classical archaeology from the University of Ss. Cyril and Methodius in Skopje. Since 2004, as a student and after the graduation, Pavlovski has continuously participated in a large number of excavation projects in Macedonia and one in Serbia. Since 2009 he is directing the excavations of the Roman Theatre at Stobi and since 2013 he is part of the team that is working on the restoration of the same building. Beginning with 2010, Goce Pavlovski is instructor in the international field school for archaeology, held at Stobi every summer. He has participated as an advisor in the excavation project for the Roman theatre of Scupi. Pavlovski has presented his work on different archaeological conferences and his papers are mainly focused on the Roman theatres at Stobi and Scupi. He has participated in two international initiatives for EU funding of the projects ARC_3D (3D technology supporting medium sized excavations in the Eastern Mediterranean area) and BALARCH (Platform for storage and use of different types of digital documentation of the cultural heritage from the countries of the Balkans). In the past 4 years, as part of the Stobi field school, he has collaborated with Dr. George Bevan on advanced methods of 3D photo documentation. Pavlovski has developing interest in the application of new technologies in the processes of cultural heritage research and protection. Nemanja Mrđić is the research associate at the Institute of Archaeology from Belgrade, Serbia. Since 2005 he is permanently employed at the Research Project Viminacium (Project of the Ministry of Science: IRS – Viminacium, Roman city and military legion camp – research of material and non-material of inhabitants by using the modern technologies of remote detection, geophysics, GIS, digitalization and 3D visualization”). At the Department of Classical Archaeology of the Faculty of Philosophy, University of Belgrade he obtained his PhD with the thesis “Military Iconography from 3rd-5thcentury AD at the territory of Illyricum. His professional interests are Roman army, ancient weapons and military equipment, frontiers of the Roman Empire (Roman limes), Roman military architecture and engineering, urbanism and topography of ancient cities, Aqueducts and water supply in antiquity, experimental archaeology and Roman burial rites. He is member of the expert team preparing UNESCO World Heritage Site nomination of the Danube limes (Serial transnational WHS Frontiers of the Roman Empire). He participated in many campaigns at prehistoric, roman and mediaeval sites in Serbia as experienced field researcher. He participated in EU funded projects T-PAS, ARCHEST, Danube Limes Brand. His secondary interest is palaeontology where he participated (2009) and led research (2012) of the mammoths discovered in coal mine Drmno at the outskirts of Roman Viminacium. He participated in numerous international congresses and symposia. He participated in organization of several congresses and conferences of which Limes Congress is the most prominent one. He participated in organizing several exhibitions in Serbia and abroad. He published several monographs, many articles and papers in various periodicals and gave lectures and presentations at different museums, exhibitions and universities. Kosta Jovanović received his dipl. ing. and M.Sc. degrees in electrical engineering in 2009 and 2010, and Ph.D. in robotics in 2016. He is Assistant Professor of robotics at the University of Belgrade – School of Electrical Engineering (ETF). His research interests are human-robot interaction, human-robot collaboration, humanoid robots, and variable compliant actuators. He was a visiting researcher at Technical University of Munich and DLR Institute of Robotics and Mechatronics in Germany. Kosta has already published more than 20 papers which are cited more than 170 times (source: Scopus) and participated in several national, regional and EU funded FP7 and H2020 projects. Jovanović was awarded numerous prizes: by the University of Belgrade, the City of Belgrade, Nikola Tesla Foundation, German Academic Exchange Service (DAAD), and American Chamber of Commerce (AmCham) for its research activities. Predrag Ivaniš received his dipl.ing., M.Sc. and PhD in electrical engineering in 1999, 2004 and 2008. He is Associate Professor in telecommunications at University of Belgrade – School of Electrical Engineering. He is currently Vice Dean for Academic Affairs at School of Electrical Engineering. His research interests include information theory, statistical learning and error control coding. He has already published more than 60 papers which are cited more than 260 times with h-index=9 (source: Scopus) and participated in several national, EU funded FP7 and Tempus projects. He is currently chief investigator of an eight-year project founded by the Ministry of Education and Sciences of Serbia, with 17 full-time participants. He was awarded by University of Belgrade and Telecommunications Society for its research activities. Dimitar Nikolovski is employed as an archaeologist-documentator at the National Institution for Management of the Archaeological site Stobi since 2010. He received an archaeology degree in Skopje, Ss. Cyril and Methodius University. He is currently working on his Masters in Roman glass from Stobi, Macedonia Secunda from the 1st cent. BC to the 6th cent. AD. He gained field experience in archaeology on multiple sites in Macedonia throughout a span of 12 years, diverse in period and location, from Prehistory to Middle Ages. His primary research interests includes Roman glass, urban development and patterns of cities from the Roman through the Late Antique periods, Late Antique iconography, etc. He participated in the International field schools at Stobi in the last three years, where he gained experience in photogrammetry and advanced methods of documentation of the archaeological sites working under supervision of Prof. George Bevan, Queen’s University, Toronto. Ilija Mikić is the leader of the Anthropological collection Viminacium, which is the largest in the Balkans and currently contains more than a thousand skeletons. From January 2001 he is a researcher at the Institute of Archeology in Belgrade. In two occasions (2005 and 2008) he was at study work at the Bavarian state collection for anthropology and paleoanatomy at the Ludwig Maximilian University. In 2016 he obtained the PhD with the thesis ‘’Viminacium – Interdisciplinary interpretation of the relationship between inhabitation and population from late prehistory to late middle ages”. Several times he was a member of archaeological expeditions during excavations at Hadži Prodanova cave, Verušić near Subotica and Felix Romuliana. In the period from 2011-2016 he was a member of the European Commission funded Open Arch project, and one of the organizers of scientific conferences at Viminacium in 2012 and 2014. Mikic also has an active role in the cooperation between the Institute of Archeology Belgrade and the Moscow State University-Lomonosov. As a result he was a member of anthropological expedition in Vladimir, Russia. In 2017 he was the head of the project of the Ministry of Culture of the Republic of Serbia “3D scanning and facial reconstructions of 10 different anthropological phenotypes from Viminacium”. Mikic is author and coauthor of numerous scientific articles in international and Serbian journals. His future work will be based on physical-chemical analysis including Strontium ratio, TCA and DNA and analyzes he worked on with prof. dr. Gisela Grupe and dr. Michaela Harbeck from Ludwig Maximilian University. Dr. Ana S. Trbovich is the Grid Singularity co-founder & COO. She teaches Entrepreneurship at FEFA, a leading business school in Belgrade, Serbia, and has consulted on competitiveness and innovation policy for international organizations, including the EU and the World Bank. She has been actively engaged in Serbia’s economic reforms and the EU accession process both as a high government official and senior advisor. From 2002 to 2006, Ana served as Assistant Minister of International Economic Relations, coordinating Serbia’s EU accession process and investment policies, and in 2013/14 as Special Advisor to Minister of Economy in charge of entrepreneurship and competitiveness policy, including regulatory reform and venture capital development. Her consultancy projects ranged from improving the business enabling environment and workforce development, public administration and good governance reforms, and fostering innovation and enhanced cooperation between universities and the business sector. She holds a PhD (Fletcher School of Law and Diplomacy), two Masters Degrees (Master of Art in Law and Diplomacy, Fletcher School; Master in Public Administration, Harvard Kennedy School of Government) and BA (Tufts University, triple-major in Economics, International Relations and French Literature). Specialized in EU policies at Science Po, Paris, France. She is the author of “A Legal Geography of Yugoslavia’s Disintegration” (Oxford University Press, 2008), “Public Administration and European Integration of Serbia” (FEFA, 2010), and many articles on good governance, entrepreneurship and innovation. Dr. Trbovich serves on the board of the Energy Web Foundation and the European Institute for Innovation and Technology (EIT), as well as several NGOs. One of her favorite is Intersection, NGO promoting science and innovation in the Western Balkans. Dr. Rob Kulathinal is an Associate Professor in the Department of Biology and Director of the PhD in Bioinformatics graduate program at Temple University. Dr. Kulathinal is also a founding member of the Center of Computational Genetics & Genomics (CCGG) and the Institute of Genomics & Evolutionary Medicine (iGEM). His lab’s primary research interests focus on how rapid evolutionary processes generate the remarkable molecular and organismal patterns of diversity across populations and species. Dr. Kulathinal’s work on speciation incorporates a broad spectrum of approaches including population, comparative, and functional genomics as well as Drosophila behavioral genetics. His lab focuses on the genetics of dynamic reproductive systems, particularly gene networks involved in sexually dimorphic patterns of expression including male fertility. His lab’s recent work on sexually dimorphic behaviors is beginning to provide an exciting new neurogenomics framework to study sexual isolation. Dr. Kulathinal further studies the broad implications of this rapid evolutionary framework on a variety of biological pheneomena from the effects of anthropogenic distress on deep sea habitats (e.g., forthcoming Acid Horizon movie) to the rapid proliferation of cancer due to ancestry (e.g., news release). Dr. Kulathinal and colleagues from Management and Information Sciences are also developing an “evolutionary sciences of the artificial” based on their common interest in detecting evolutionary signals from all types of “big” digital data–whether biological, technological, or social (e.g., news release). Dr. Kulathinal teaches “Honors Introduction to Biology”, “Evolutionary Genetics & Genomics”, and is developing a University-wide course called D.A.T.A. (Data Acquisition, Transformation, and Analysis) that teaches big data to students from science to business to the arts. Dr. Kulathinal also teaches “Introduction to Graduate Research” to all incoming doctoral students in Biology each fall, and co-teaches an interdisciplinary Studio course on the Bio-Social with Dr. Allison Hayes-Conroy as part of a funded NSF Research Training (NRT) grant. Marija Ilic is a Visiting Professor at the new MIT Institute for Data, Systems and Society. Prof. Ilic is a Professor at Carnegie Mellon University, Pittsburgh, PA, with a joint appointment in the Electrical and Computer Engineering and Engineering and Public Policy Departments. She is also the Honorary Chaired Professor for Control of Future Electricity Network Operations at Delft University of Technology in Delft, The Netherlands. She was an Assistant Professor at Cornell University, Ithaca, NY, and tenured Associate Professor at the University of Illinois at Urbana-Champaign. She was then a Senior Research Scientist in Department of Electrical Engineering and Computer Science, Massachusetts Institute of Technology, Cambridge, from 1987 to 2002. She has 30 years of experience in teaching and research in the area of electrical power system modeling and control. Her main interest is in the systems aspects of operations, planning, and economics of the electric power industry. She is Director of the Electric Energy Systems Group at Carnegie Mellon University whose main objective is mathematical modeling, analysis and decision making for the future energy systems. She is leading the quest for transforming today’s electric power grid into an enabler of efficient, reliable, secure and sustainable integration of many novel energy resources. She has co-authored several books in her field of interest. Prof. Ilic is an IEEE Fellow and Distinguished Lecturer. Smart Grids as a means of implementing sustainable IT-enabled electricity services; Modeling and control of future electric energy systems (transforming hierarchical into open-access systems); Modeling and control of economic, policy and technical interactions in dynamic systems under uncertainties (applied to electricity markets); Critical infrastructures and their interdependencies (cyber-physical systems); Computer methods and algorithms for simulating large-scale dynamic systems; Electric power systems modeling; Design of monitoring, control and pricing algorithms for electric power systems; Normal and emergency control of electric power systems. Ivana Kosanović is a research associate at the Institute of Archaeology, Belgrade. Since 2015 she has been employed on the project IRS – Viminacium, Roman City and Legionary Fort – Research of Material and Non-material Culture, Inhabitants, Using the Modern Technologies of Remote Detection, Geophysics, GIS, Digitalisation and 3D Visualisation, and since 2017 she has also been working as a teaching associate at the Faculty of Philosophy in Belgrade, Department for Archaeology. Her main interests are Roman provincial archaeology and epigraphy, especially topics related to writing and literacy. Ivana is currently working on her PhD thesis: Archaeological evidence for literacy in the Roman provinces at the territory of Serbia. Ivana took part in many archaeological exavations, most important ones being Viminacium, Remesiana and Židovar in Serbia and Otilovići in Montenegro. Pursuing her interests, Ivana participated in eminent courses in Roman epigraphy in Rome (American Academy in Rome, The British School in Rome) and a course in digital epigraphy in London (School for Advanced Studies, London University), for which she had been awarded grants and bursaries of Association Internationale d’Épigraphie Grecque et Latine, The British Epigraphy Society and The Classical Asscociation. As a young researcher, she has been chosen to participate in a visiting programme in Bavaria ‒ Best Practice, Heritage Management and Nomination Questions for UNESCO World Heritage, The Frontiers of the Roman Empire in UNESCO Wold Heritage. She is the author of a few scientific papers, and in 2017 she participated in XV International Congress for Greek and Latin Epigraphy in Vienna. Ivana is a member of the Organizing Committee of the 24th International Limes Congress. Lucy Erickson joins NSF as a 2017-2018 AAAS Science and Technology Policy Fellow in the Directorate for Computer & Information Science and Engineering (CISE). At CISE, Lucy is working on the Big Data Regional Innovation Hubs Project. 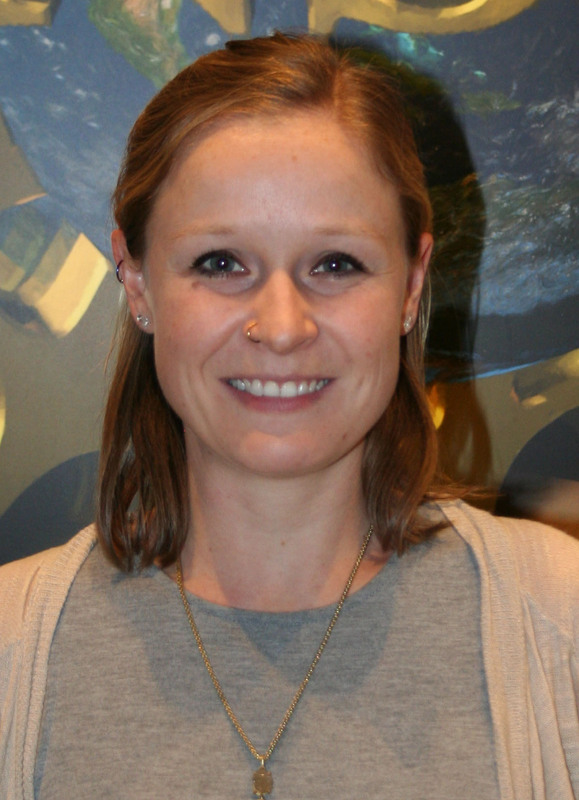 Prior to coming to NSF, Lucy completed postdoctoral fellowships at the University of Maryland, College Park, and Georg-August Universität Göttingen in Germany, where she conducted research on child language development. She holds a Ph.D. in Developmental Psychology from Carnegie Mellon University. Her doctoral work focused on statistical learning mechanisms in infants, children, and adults in the context of language acquisition. King Abdullah University of Science and Technology (KAUST), Saudi Arabia. Vladimir Bajić (24.02.1952) is the Director of the Computational Bioscience Research Center (CBRC) and Professor in the Computer, Electrical and Mathematical Sciences and Engineering (CEMSE) Division at King Abdullah University of Science and Technology (KAUST), Saudi Arabia. He was Professor of Bioinformatics and acting and deputy director of the South African National Bioinformatics Institute (SANBI) at the University of the Western Cape. He worked in industry and several academic and research institutions in Yugoslavia, South Africa, Singapore and Saudi Arabia, including the Institute for Nuclear Sciences Vinča in Serbia and the Institute for Infocomm Research in Singapore, where he was head of the Knowledge Extraction Laboratory. Dr. Bajić intensively published across various fields. His work in modeling and artificial intelligence has resulted in several bioinformatic tools and a knowledge discovery platform that found commercial applications. Prof. Bajić was awarded the first DST/NRF South African Research Chair (Tier 1) in Bioinformatics and Human Health. He serves on the editorial boards of Briefings in Bioinformatics and several other journals. He is on the Advisory Boards of the Swiss Innovation Valley AG and the BIG Data Center of the Chinese Academy of Science. His research interest is in developing intelligent bioinformatics systems to speed up discoveries in life sciences. Dr. Bajić earned graduate (Dipl.Eng.) and master’s (M.S.) degrees in electrical engineering sciences from the University of Belgrade in Serbia, followed by a doctorate in engineering sciences (D.Eng.Sc.) in electrical engineering from the University of Zagreb in Croatia. Auroop R. Ganguly is a Professor of Civil and Environmental Engineering at Northeastern University in Boston, MA, where he directs the Sustainability and Data Sciences Laboratory (SDS Lab), and has courtesy appointments in Computer and Information Science, Marine and Environmental Sciences, and Political Science. He has 20+ years professional experience spanning the private sector (including Oracle Corporation and multiple startups), government research (US DOE’s Oak Ridge National Laboratory), and academia. He has authored a textbook on Critical Infrastructures Resilience and an edited book entitled Knowledge Discovery from Sensor Data. His papers have been published in interdisciplinary journals such as Nature, PNAS, Nature Climate Change, Nature’s Scientific Reports, and PLOS One, as well as in disciplinary journals in geophysics, climate dynamics, water resources, civil engineering, electrical engineering, computer science, statistics, and physics, besides top-tier computer science conferences in Artificial Intelligence (AI) and data sciences. He is on the editorial board of Nature’s Scientific Reports and the American Society of Civil Engineer’s Journal of Computing in Civil Engineering, and has been an associate editor of American Geophysical Union’s Water Resources Research and an elected member of the American Meteorological Society’s Artificial Intelligence Committee. He has co-authored and reviewed reports by national committees and academies such as the Sustained US National Climate Assessments, as well as world bodies such as the United Nations Environmental Programme, and has been widely cited in scientific venues such as Nature News, NSF News, and NASA Tech Briefs, as well as in the national (US) and international media. Ganguly has won several best paper and poster awards, outstanding reviewer and mentor awards, developed two pending US patents in climate risks and infrastructure resilience, and his Lab has spawned an NSF-funded startup in climate risk analytics. His former students, post-graduate scholars, and research mentees are in leadership positions in the private sector, government labs, as well as in the US and Indian academia. He obtained a PhD from the Massachusetts Institute of Technology and a B. Tech. (Hons.) from the Indian Institute of Technology (IIT) at Kharagpur, both from the Civil (or Civil and Environmental) Engineering departments. Molecular microbiology, Molecular mechanisms of bacteria-host interaction, Molecular mechanisms of resistance to antibiotics, Molecular mechanisms of probiotic action. Professor Dr. Martin Lindner is one of the directors of the Centre for Teacher Education at MLU and leads the department of Biology and Geography Education at the same University since 2010. After 10 years of teaching he moved to work on the Teacher Education Department at the University of Flensburg for a period of 4 years, following his career in the Leibniz-Institute for Science and Mathematics Education (IPN) at the University of Kiel. There, he coordinated SINUS, a ten years National teacher professional development programme for Mathematics and Science teachers. He researched on this programme as well as on similar National wide known teacher innovation programmes like Chemistry in Context and Science in Context. His main interest is on professional development of in-service teachers immersed in collaborative in long-term professional development endeavours. He was member of several EU-consortium that undertook EU Programme Projects like PARSEL, CROSSNET and ESTABLISH, all of them targeting Science and Mathematics education at school level and involving teachers at different stages of their professional development. Dr Milica Marčeta Kaninski is Research Professor and Head of the Director at VINČA Institute of Nuclear Science in Belgrade, Serbia. Dr Marčeta Kaninski received M.Sc. degree in 2005 and PhD in Physical Chemistry at University of Belgrade in 2009, with thesis Hydrogen Membrane Fuel Cells: Energy, Isotopic and Electrochemical Aspects. She has managed national and international scientific projects and published more than 30 papers in peer – reviewed journals. Dr Marčeta Kaninski is a member of Serbian Chemical Society and International Society of Electrochemistry ISE. She is also the reviewer in many journals, including Energy and Environmental Sciences, Electrochemistry Communications, International Journal of Hydrogen Energy and Journal of Applied Electrochemistry. Željko Jovanović is a Technology Engineer specialized in industrial Design. In the Center for New Technology, he works as a CAD model expert. His main focus is digitalization and presentation of data from archaeological excavations. With his work, he made great progress in the way of acquisition and presentation of archaeological data at the archaeological site Viminacium, from smallest of artefacts to complex architectonic structures. Igor is the Chief Technology Officer and Co-Founder of Seven Bridges. He oversees the development and deployment of all software and engineering. His responsibilities include building and scaling the Seven Bridges Platform, Sonar and Rabix, along with ensuring the continued development of the Graph Genome tools. Igor also serves as a member of Seven Bridges’ Board of Directors.. The workshop will include invited talks, panels, and poster presentations. The registration for this event is by invitation only. Participants at the poster session will present their research projects, current developments and ideas, and receive feedback from renowned scientists at leading USA institutions. Posters are based on published or ongoing studies.